. كما يقدم فندق إيبيس ميلبورن جلين ويفرلي الكثير من الخدمات لإغناء رحلتك في ملبورن. يقدم الفندق فرصة للاستمتاع بشريحة واسعة من الخدمات بما فيها: مكتب الاستقبال على مدار الساعة, مرافق مخصصة لذوي الاحتياجات الخاصة, تسجيل وصول/خروج سريع, تخزين الأمتعة, صف السيارات . في فندق إيبيس ميلبورن جلين ويفرلي غرف نوم يزيد عددها عن 155 صممت بذوق وعناية لتوفر لك كل وسائل الراحة . بعضها يحتوي أضاً على تلفزيون بشاشة مسطحة, بياضات, مرآة, مناشف, اتصال لاسلكي بالإنترنت. كما أن مجموعة الخدمات الواسعة الموجودة في الفندق لضمان راحتك تترك لك الكثير من الخيارات لقضاء وقتك أثناء فترة إقامتك. يشكل فندق إيبيس ميلبورن جلين ويفرلي بخدماته الراقية وموقعه الممتاز، قاعدة مثالية للاستمتاع بإقامتك في ملبورن. We picked this location specifically because we wanted to be near our relatives who stayed in Glen Waverley. If you have no reason to be around this area, this is not a good base to travel around Melbourne for sightseeing. The location is close to cafes so go out there and have your breakfast outside the hotel. Melbourne is famous for its great cafe culture and incredible breakfast, so don't bother eating in the hotel. There isn't much to see as this is pretty much a suburban area. The room is spacious, clean and comfortable. This is a nice suburban area to stay with excellent amenities (food, shopping, grocery, ice cream) @ The Glen. Hotel staff were pleasant and hospitable, rooms were cosy and pretty new. The shower cubicle is slightly small but alright. Would certainly consider staying here again. Hotel room is clean. Like the lighting in room. Reception is friendly and available for 24 hours. 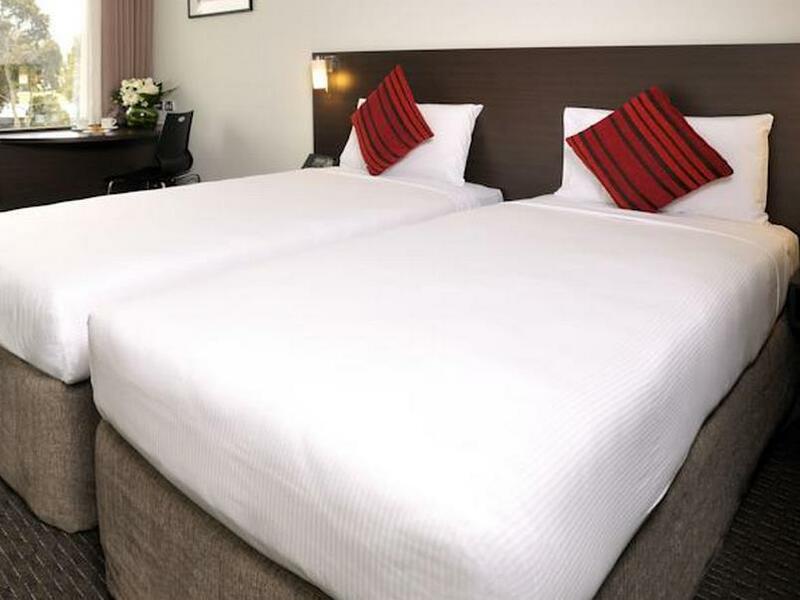 Comfortable bed, simple facilities, exemplary helpful and friendly staff, excellent location. Stay 4 nights as hotel is close to office. Surrounding has plenty of restaurants to choose from. Breakfast ok. Not much variety. Very clean & comfortable room. 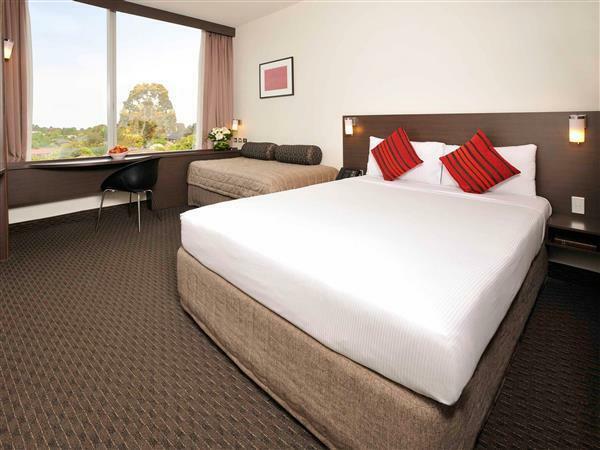 Close to everything Glen Waverley has to offer. Less than 5 min walk to Century Walk Complex. Good hotel, room very small. Staff very friendly and helpful. Convenient location close to a cinema complex with a variety of restaurants to choose from. Comfortable hotel in convenient location. Nice hotel in convenient location. Adequate amenities. Stay was excellent. Very clean and closed to many restaurants. Breakfast, however, is less than average. No variety and no good preparation. Very convenient as we had a conference at the hotel, would stay again. As a Husband and wife who don't get out much we thought we would get a room for the night as we had a charity fundraiser at a local pub on a Friday night. We thought it would be easier to drink and fund raise rather than not drink and drive home (only about 45 minutes away). The hotel room was very clean, basic, no frills, no balcony, no mini bar. My husband (the smoker) continually went to the lobby to smoke outside as there was no balcony. The room was pleasant and very basic but very minor things such as the shower is tiny, the basin and space for cosmetics to get ready was restricted. They did have a bar that was open 24 hours they said, but we did not utilise this. Also it is within fabulous walking distance from a *million* restaurants. Parking cost us an extra $20 bucks or so as well (surprising for an outer suburbs Hotel). It was OK.bed was comfy. Al in all it added an extra $170 to our night out to ensure we could drink to our leisure without getting in trouble with the law or doing wrong by the community. Good thing is we had a top night, out and made it home safely and spent the whole next day recovering. 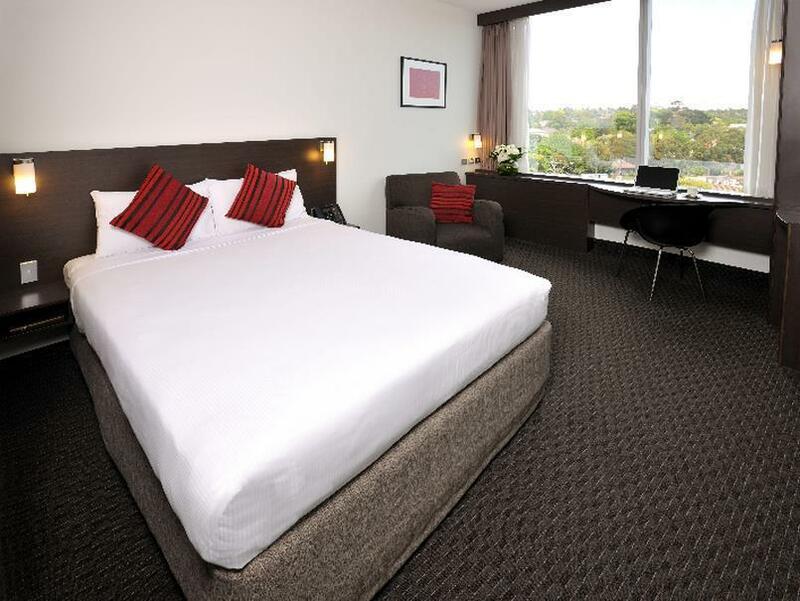 Very near to the train station and Glen Waverley have pretty much everything you need. Lots of good restaurants in walking distance. Clean decent size room but bit expensive considering you do still have to pay for parking and internet. Nice clean and quite luxurious hotel. Have everything you need. Price is a bit pricey for what it is though. Have to pay for parking which I'm not very impressed with considering the price of the hotel. Our stay was pleasant, however we were not happy about the extra fee for parking our vehicle especially since we were situated in the suburbs. There was a fire alarm at 1.30am which which revealed that the 'fire plan' was ambiguous.. no assembly points clearly marked, no announcements. Most guests assembled in the foyer of the Hotel which was not ideal in an emergency situation. Thankfully it was a false alarm and we all safely made our way back to our rooms. The manager handled the situation calmly and with respect to the guests.